As well as providing vital contact information, your business card can say so much more - some of it without words. The quality, feel and design of your card will give the recipient an unwritten message that's as important as what you have printed on it. So what does your business card say about you? Does it portray your company accurately? 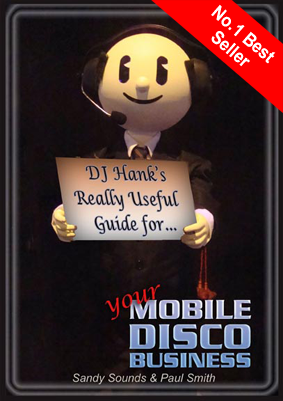 Mobile DJs are joining us daily - they know a great deal when they see one! Check out your benefits of joining AMPdj (including our PLI policy) for just £49 and then decide. This is not just a short term price offer to get you in. Yes, we could easily charge more for membership of AMPdj so, if £49 is too low for you, make us an offer before you consider going elsewhere! Well it's probably almost 11 months since you last played them so we have compiled a list of all the favourites on our Christmas site. Want future Infomails delivered direct to your inbox?Subscribe. Coming up in the next Infomail - Let's have a bit of fun before Christmas!